I should’ve stuck up for this one. 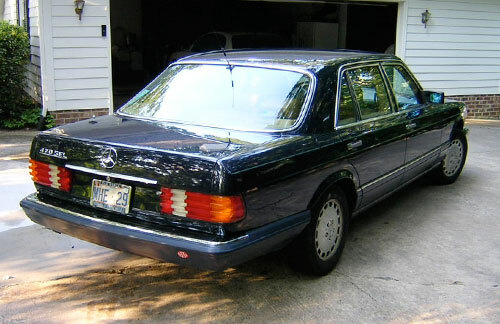 Pictured above is my dad’s old ’90 Mercedes-Benz 420SEL. It’s a long wheelbase, 4.2l V8-engined example of the celebrated W126 series, the second-to-last (the smaller W124 was the last) of the classic “money no object” Mercs. The quality of the car was palpable: The paint was a foot-deep glossy enamel, the doors opened and closed with Swiss watchmaker precision and a bank-vault-like thunk, the ride and dynamics were absolutely serene and interior materials were made to last 50 years. The whole car represented the diametrical opposite of the “planned obsolescence” carmarking philosophy. My dad bought it from a family friend in early ’05; the friend had owned the car for years and was reluctantly parting with it, having been talked out of keeping it in favor of a newer Buick. I recognized the car for what it was back then: Something special. 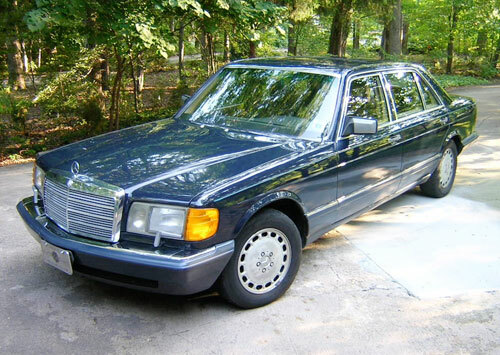 When my family lived in Europe during the late ’80s, our family car was a Euro-spec W123 280E, and the 420SEL’s quality and overall demeanor reminded me very much of my childhood experiences of the earlier Merc. It was familiar, and I think my dad felt that too; he and I have always shared a unique nostalgia for our time overseas. It was a big boat of a car, but smells and sounds felt like home. I drove it alone a few hours to the beach later that summer, and I loved every minute of it–the big Merc was a magnificent trip car. Problems soon set in, though. The engine’s old L-Jet fuel injection system began to misbehave about a year into my dad’s ownership, and the car was never quite right afterward, with a loping idle and occasional stumbles in the rev range. He had trouble finding a mechanic who knew his way around older Mercs, too, so although the issues were ameliorated somewhat, they were never completely resolved. Fuel economy for the big, heavy, V8-powered tank wasn’t anything to write home about, either. The summer of 2009 rolled around, and with it, the infamous Cash-for-Clunkers program. 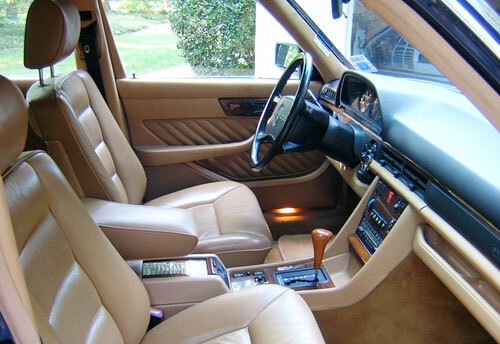 At the time, my parents owned three cars, one of them the 420SEL. Eager to pare the inventory down to two, and desirous of something a bit more miserly at the pump, my dad decided to clunker the blue Merc in favor of a new Ford F150. My heart sank when I heard his plans, but at the time, there was little I could have done to rescue the car. Our finances were still in a precarious state, and there was no way I could have scraped together anywhere near the $4500 the government (read: us) would give my dad to trade it in. So the stately, gorgeous W126, built to last 400,000 miles, was led to the slaughter, nothing wrong with it that half an hour with a older Merc specialist probably couldn’t have sorted out. The previous owner was shocked when he heard the car’s fate, but he respected my dad’s right to make that decision. I do too, but truth be told, I wish I could have found a way to assume ownership. It was a princely machine.